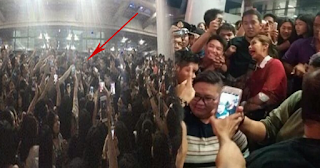 Controversial: Maine Mendoza @ Sam Smith's Concert and Created Quite a Scene! Yaya Dub is one of the concertgoers who attended Sam Smith's 'In the Lonely Hour' tour held last Saturday night, November 21 at the SM Mall of Asia Arena. Regardless of her very busy schedule, Maine Mendoza make sure that she has all her time to watch her favorite singer live on stage. After the show, Maine was spotted with a crowd gathering around her. She wears a sweet smile to all the people who are there to take pictures of her and even pose some candid photo with her fans. 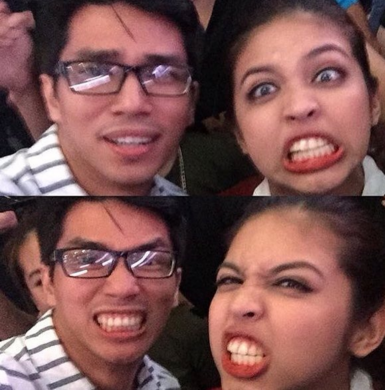 Hands down to Yaya Dub by keeping her feet on the ground and by giving simple happiness to all her supporters.